We are the past, but we are also the present because we are all close to the entire world. 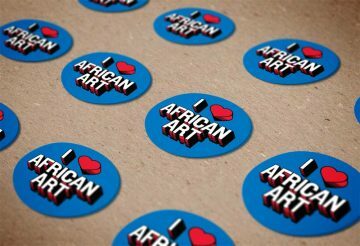 We tweet, we message, we are present on social networks, we go to the village for religious ceremonies as well as to the Venice Biennale or FESPACO. Senegal, as it has for centuries, remains in dialogue with the world. 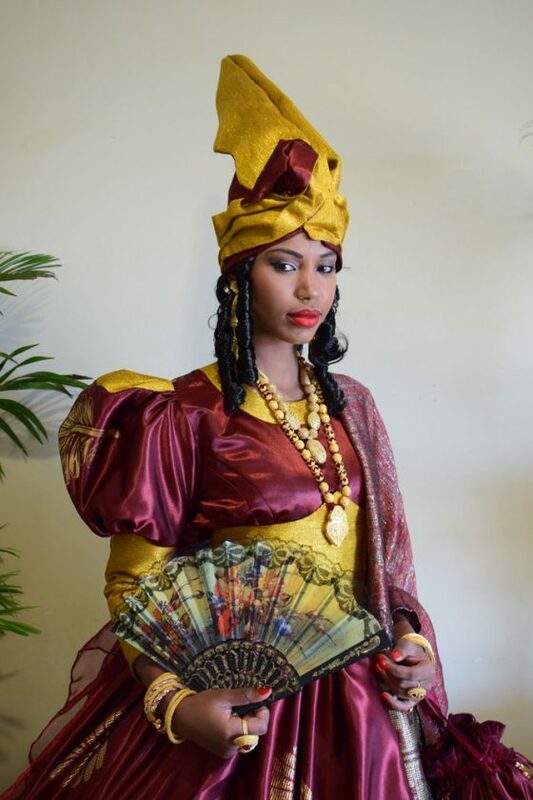 As cultural innovators, Senegalese women and the goldsmiths who adorn them absorb and transform global fashion trends, expressing their own complex identities while contributing to the realm of international fashion. Their styles and designs embrace change, yet remain resolutely local and grounded in history and tradition—a tradition and practice that involves constant innovation. With the ever-increasing speed of communications in the contemporary global city, economic, cultural, and political competition have increased. Women have, in their world of changing possibilities, fought within and against these parameters to access, harness, and control the various fabrics of a globalized cityscape through jewelry and dress. In “performing” themselves, they perform—and shape—the city and the world. Reinvigorating. 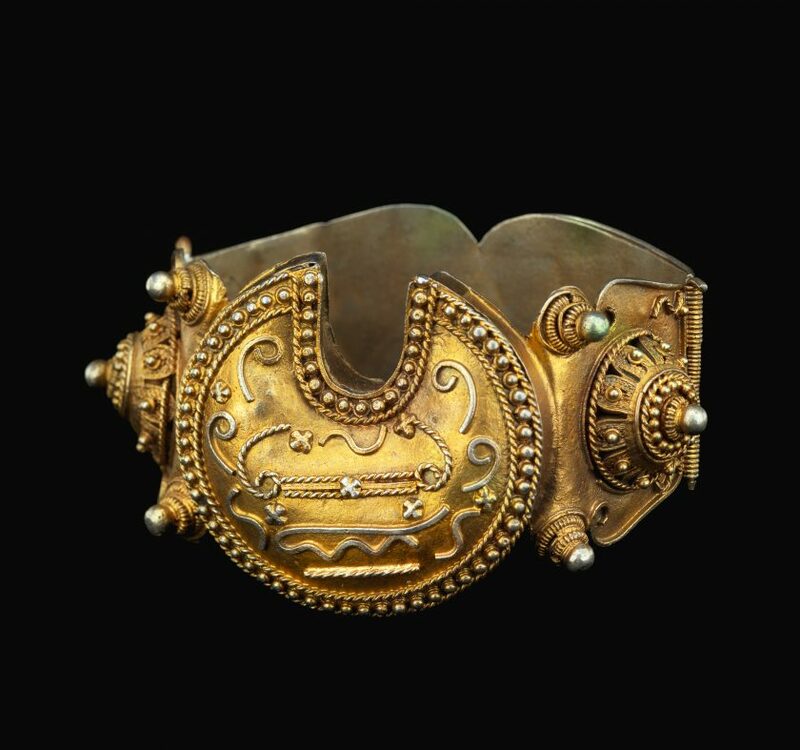 Women are very much aware of jewelry’s connection to a rich and powerful female history. This glittering and eye-catching ensemble embodies the concept and practice of sañse, and the historical memory of Senegal’s signares. Renowned for their beauty and economic savvy, the signares’ composure, fashion sense, and gestures continue to impact artistic practice today. Oumou Sy is Senegal’s most internationally celebrated fashion designer, known as the “Queen of Couture.” She created this signare-inspired ensemble for this exhibition. Jewelry knows no borders. 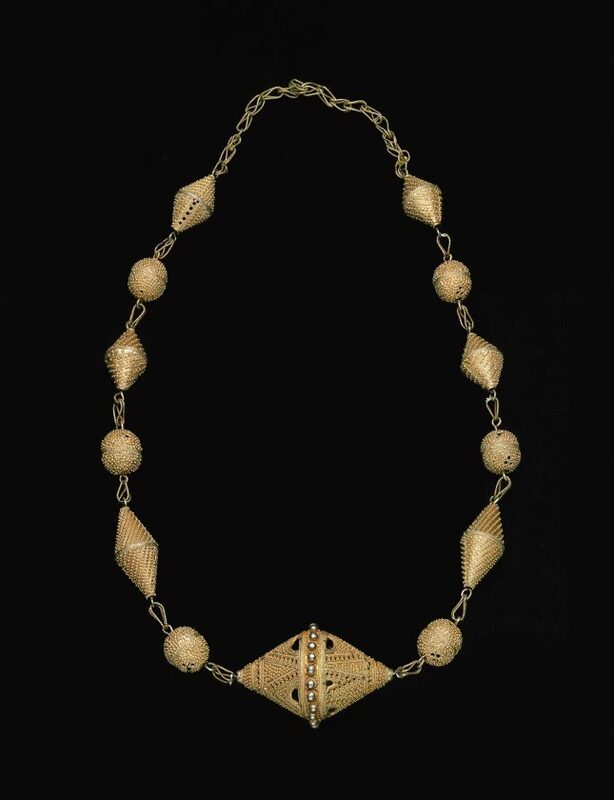 Throughout the last century, cross-cultural exchange of style has been evident in popular Senegalese jewelry. Shared techniques from Europe, the Middle East, and Africa alike have met and blended with indigenous Sahelian aesthetics for centuries. Islam has been practiced in Senegal since at least the fourth century, and Islamic half-moons and stars are still employed in bracelets and rings. The popularized butterfly design, which manifests in almost all types of Senegalese jewelry, is borrowed primarily from French styles. The filigreed domes and tiny flowers seen in myriad works may be inspired by earlier Jewish forms, which penetrated North Africa as early as the 15th century, if not well before. These same forms, however, may reference the domes of Islamic mosques, or be purely decorative. 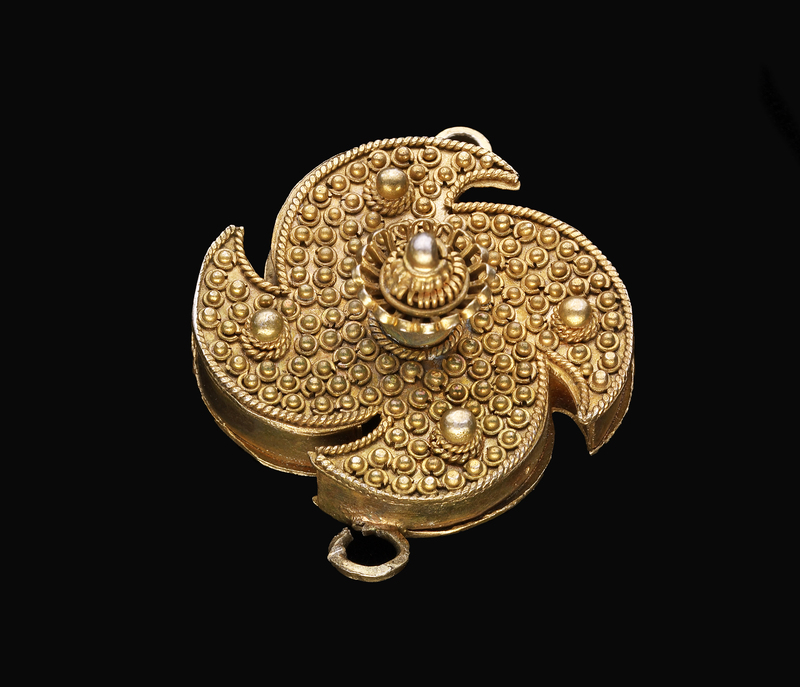 The works here demonstrate some of the historic forms that have influenced the unique, transnational style that characterizes Senegalese jewelry. Granulated greatness. 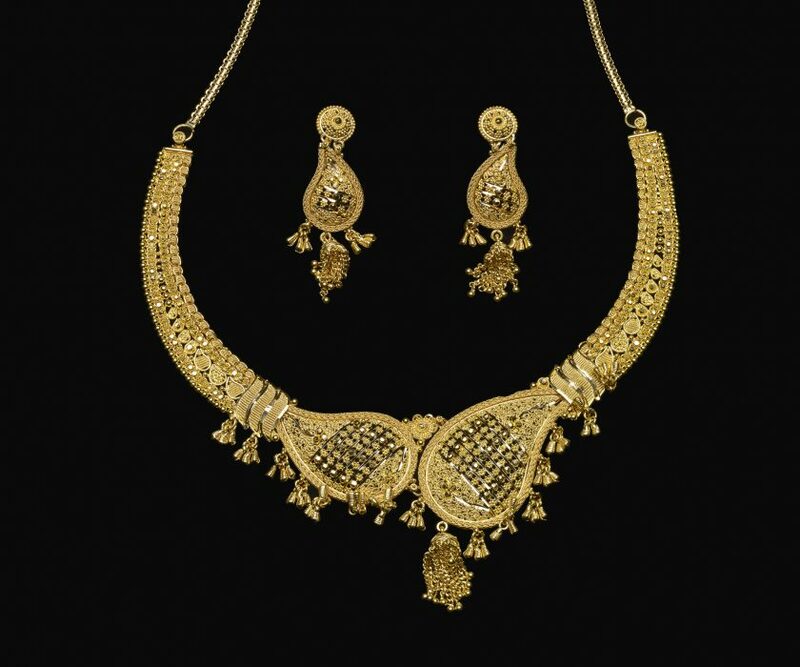 Great skill is needed to master the granulation and filigree techniques incorporated in this necklace. Its central, hollow biconical pendant rendered in geometric motifs is adorned with delicate, tightly packed granules. The form itself may be traced back to the Middle East, making its way to West Africa via the trans-Saharan trade perhaps as long as one thousand years ago. However, a similar ornament of copper was found in El Oualedji (Mali) in a tomb dated between the 11th and 14th centuries, and other biconical forms have appeared in Morocco, Ephesus (ca. 8th century B.C. ), and as far flung as India. Its hollow composition hints at the potential for use as a receptacle for charms or perfumes, but this is rarely seen in other hollow Senegalese jewelry forms. Spiritual inspiration. The majority of women in Senegal are Muslim. This monumental bracelet, likely inspired by the Islamic half-moon motif, encompasses granulation, filigree, and twisted wire techniques. The domes, seen on this bracelet may resemble the tops of mosques. Dakar, the capital of Senegal, is a major fashion center in West Africa. Contemporary urban designers in Senegal use fashion to help navigate and define what is traditional, international, and chic. 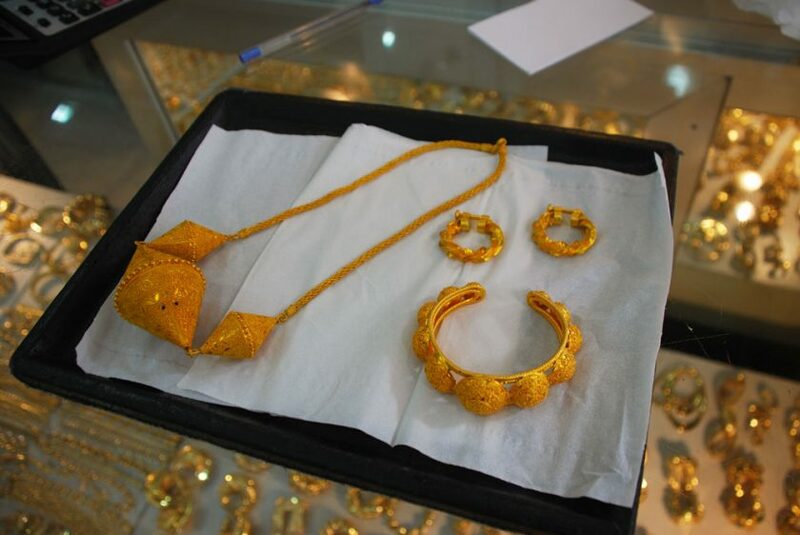 Gold jewelry is part of the larger fashion scene. It is important to note that sañse, as a concept, is different from, and far more complicated, than fashion (mode), though they inform one another. In today’s context, fashion can be thought of as more commercialized and commodified, whereas sañse is more dense and culturally entangled, involving ethical choices as well as aesthetic. By probing notions of international fashion and localized practices of sañse, Oumou Sy’s contemporary ensemble challenge long-standing conventional ideas that pit “tradition” against “modernity.” Such dichotomies overlook the many diverse and overlapping influences evident in the dynamics of African style. “Traditional” clothing has always been a changing art form.